This Emirate is often mistaken for a destination where weeks spent exploring will leave you feeling like you haven’t scratched the surface. We have created your 48 hour guide to Abu Dhabi which will ensure you leave experience enriched. If you are heading to the United Arab Emirates don’t forget to include the capital in your itinerary. Abu Dhabi might look intimidating with its tall buildings and other worldly shopping centers but once you can do it all in 48 hours. Here’s how…. 6am – An early arrival into Abu Dhabi International Airport means you can hit the ground running on your first day. Check into your hotel, grab some breakfast, stock up on water and then it’s time to hit the road: taxis are plentiful and affordable, and can be flagged down on the streets; buses operate throughout the city, costing two Dirham coins per trip, or you can buy a weekly pass; or opt for a private tour with a driver. 9am – Your first stop should be the beautiful Sheikh Zayed Grand Mosque, named in honour of His Highness Sheikh Zayed bin Sultan Al Nahyan. 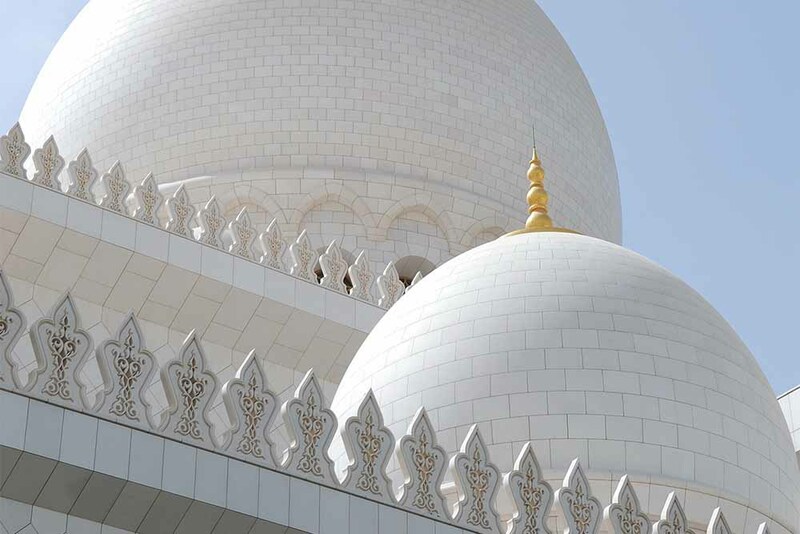 The stunning marble edifice shines a sparkling bright white, its multiple domes (80 to be precise) and soaring minarets contrasted by the blue skies. A sense of tranquility pervades here, while the combination of the sun and the intricate architecture produces the most amazing shadow play, like artworks in their own right. Head inside the main prayer hall to walk on the world’s largest hand-knotted carpet. Visitors are required to cover up; women can borrow an abaya (long robe) and headscarf, and men a kandura at the entrance to the grounds. 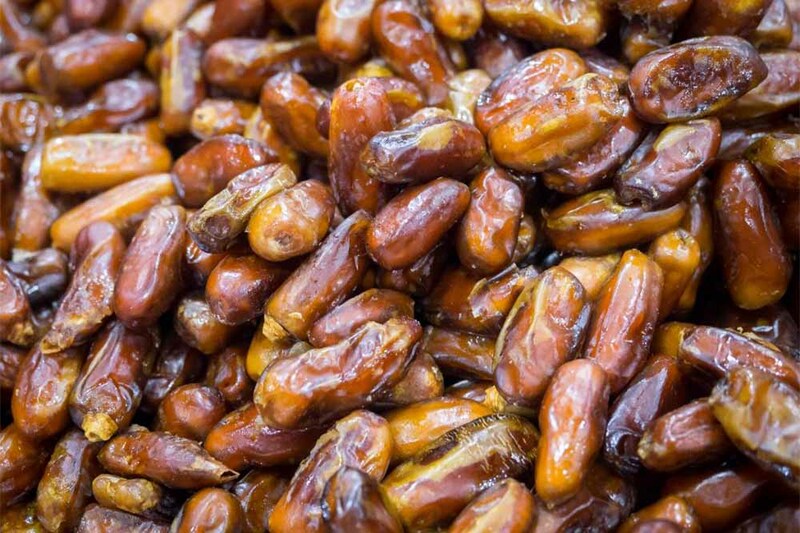 11am – Get a taste of local life at the Al Mina markets, where locals come and go buying fresh produce, spices and dates, a prized commodity here. Along ‘date alley’ the dried fruits are stacked high on plates or packed tightly into boxes; at least 45 varieties are sold here including plump medjool dates, the gold standard. 12pm – Emiratis have a fascinating relationship with the falcon; you can even buy seats for birds on planes. The Falcon Hospital offers state-of-the-art treatment to these exquisite creatures. Over 11,000 birds come through the doors each year, and visitors can find out what goes on by taking one of the regular guided tours. 1.30pm –Emirates Palace, once the most expensive hotel ever built, has a floor for exclusive use by royalty, one for heads of state, and one for celebrities. For lunch, order the signature camel burger with gold-dusted chips and finish with a gold-dusted cappuccino. 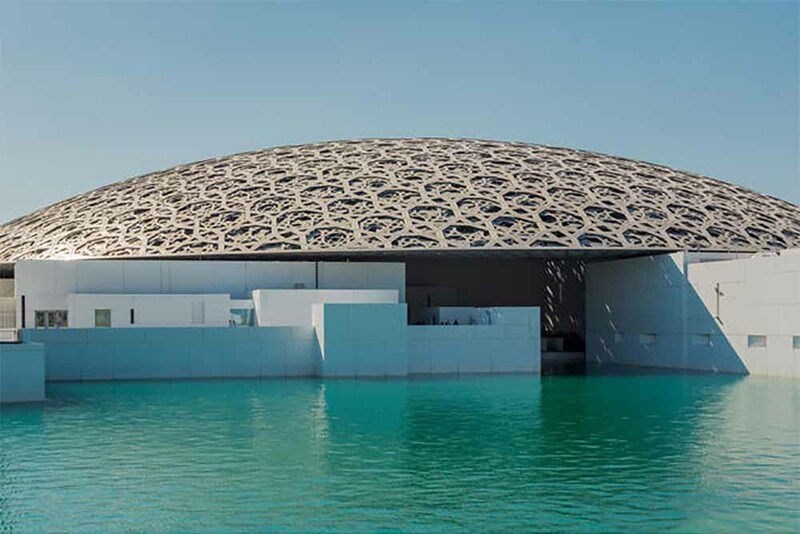 3.00pm – The luxury and arts enclave of Saadiyat Island is home to the Louvre Abu Dhabi. The Jean Nouvel-designed building features a latticed roof made to resemble the shadows cast by the interlocking fronds of date palms. 6.30pm – Jump on a boat and head to Zaya Nurai Island, a laid-back luxury resort: try crispy pizza from a pineapple-shaped oven at Smokin’ Pineapple beach bar or Levant-inspired seafood at Hooked. 8.30am – The oasis city of Al Ain, a two-hour drive through undulating desert, complete with camels, is a perfect day trip from Abu Dhabi. One of the world’s oldest permanently inhabited settlements, the oasis is a fascinating proposition of verdant palm groves and traditional architecture. 10.30am – The massive Al Jahili Fort was erected between 1891 and 1898 by Sheikh Zayed the First to defend the city and its precious palm groves. Within the soaring fortified walls is a series of circular towers and a visitor centre that houses photography by English explorer Wilfred Thesiger documenting the lives of the still largely nomadic people before oil was discovered in 1958. 12pm – The nearby Qasr al Muwaiji is the birthplace of the current ruler, Sheikh Khalifa, the son of Sheikh Zayed; the palace includes a sleek modern glass box of a visitor centre, with exhibits on the history of the ruling Al Nahyan family. 1.00pm – Feast on traditional Emirati fare at Al Fanar, including subtly spiced chicken and rice (machboos deyay), and slow-cooked meat (thareed laham). Finish with lequimat, little doughnut balls drenched in date syrup, and fresh mint tea. 4.00pm – An afternoon of fun can be had at Yas Island. Check out the Yas Marina Circuit, home to the F1 Etihad Airways Abu Dhabi Grand Prix, with a driver’s experience; head to Ferrari World Abu Dhabi, the first theme park dedicated to the luxury Italian car brand; and immerse yourself in the thrilling and brand new Warner Bros. World Abu Dhabi. Later, cool off at Yas Waterworld. 8.00pm – Finish your day of action with a soothing tradition hammam in the marbled opulence of Eastern Mangrove Resort & Spa.